Ambient Church is an event not a building. and an exploration of spiritual moods that can enliven a life. Ambient Church is an immersion in the face of the deep. yet contemplative moment in an otherwise crazy world. The music performed in Ambient Church events is not all "ambient" in this slow, soothing sense. Some of it is more boisterous, and especially as combined with light shows, shamanic. But all of it helps generate a mood and atmosphere, and all of it turns to the listeners (not the artist) as its ultimate frame of reference. 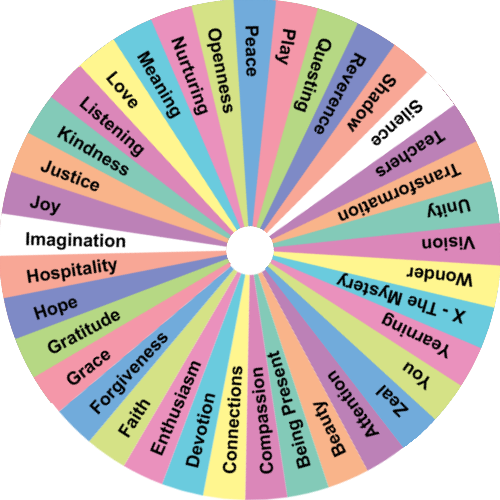 They are taken into one or some combination of the thirty-seven spiritual moods offered in the diagram below. Ambient Church a happening, an experience enjoyed among people at an event, not a building. Its communicants come to ambient church “services” to experience touches of transcendence through electronic music and light shows. Often the events occur in houses of worship (churches, synagogues) where the acoustics are excellent and the very setting hints of spirituality. But the belief systems and particular practices of the church are absent in the service. All are welcome, religiously affiliated or otherwise. In this sense it is an interfaith event, and the faiths themselves include humanism and atheism and paganism as well as the more traditional kinds of faith. In the moment at hand, the buildings are re-purposed for the ambient service. This does not mean that an ambient service is 'secular." It is instead a different kind of spirituality than is ordinarily experienced in church services: contemplative yet shamanic, involving all the senses. You might imagine them as electronic Quaker meetings with a shamanic overtone. The communicants in an ambient happening typically have an experimental frame of mind, but are also seeking some kind of depth that combines individuality and community. Their ambient church-for-the-evening may or may not be the only “church” to which the communicants belong. But they find themselves walking into an ambient church event for something they do not find elsewhere. They are stepping into a space where, often, institutional religion has failed. 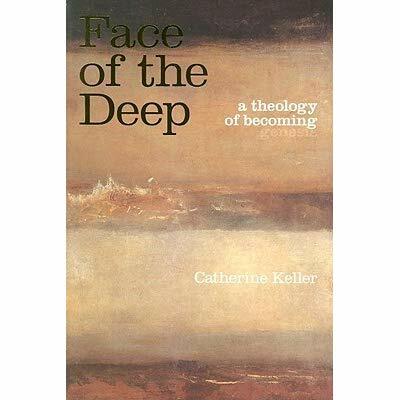 How to think about this theologically? I find process theology helpful. I suggest that they are making connection what the philosopher Whitehead calls subjective forms through sound, light, and a sense of community: electronic communitas. For process theologians influenced by Whitehead, the subjective forms are as real in their way as are physical objects in theirs. Indeed, say process theologians, the subjective forms evoked by light and sound, in combination with other factors, can be a language of God: that is, a way that the very Soul of the universe speaks to and within them as they seek to make sense of their lives and take a step forward, in community with others, for the sake of people, other animals, and the earth. The sounds and sights are themselves, in the moment at hand, sacred texts, albeit in aural and visual form. Like Psalms in the Bible, the messages received from the sounds and sights are not all pretty. But they are all human, and they reveal to us, in their ways, the fullness and complexity of a universe filled with mystery and feeling.